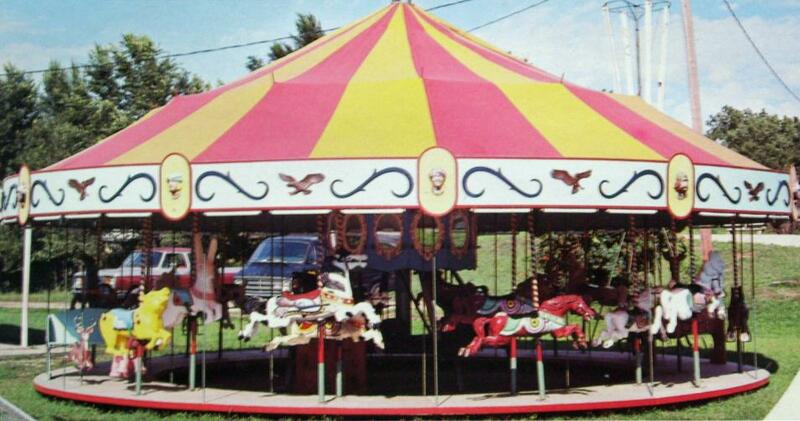 Whether you call it a Carousel or a Merry Go Round, it's the indispensable ride for an amusement park or carnival. We have them in sizes from a two-abreast 18 ft. diameter up to a four abreast 42 ft. diameter in both Standard and Early American models. Call, fax, or email us for current prices. We have all parts available for machines that were manufactured by Theel Manufacturing Company of Leavenworth, Kansas. We also have other new rides available in both park and portable models. More information will be added to this site later.